Imagine you are sitting in your home one morning, enjoying the first cup of coffee and suddely the power goes out. In the dark, you begin to investigate, finding that the utility pole in your yard has fallen over into the street (due to underground rot), and has taken with it the electric wires that were connected to your house. What do you do? You call the power company, of course. That is where the frustration began for Rodi and Bob Franco of Houston, Texas-- to whom this exact situation occurred. While the local power company came out and installed a new pole that day, it was not able to reconnect the wires to the Francos’ home. The couple was surprised to learn that their local power company did not own the pole. The big question: who is typically liable for the repair work? 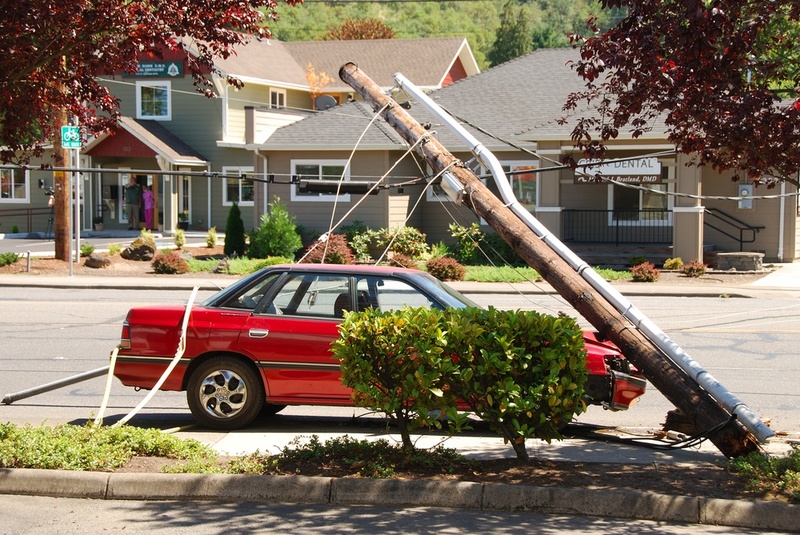 Accidents involving utility poles-- like the one described above-- happen all the time, and they often bring liability into question. Even accidents in which a driver crashes into a utility pole can end up showing that accountability lies with the pole owner. It may seem that the driver who hit the pole should be held responsible, but if this process is not completed correctly, the asset owner can ultimately be held liable for a crash involving a dangerously placed pole. There are many factors that can cause a utility pole to snap: natural rot and decay over time, damage due to extreme weather, weakening by termites, overloading, illegal attachments, and more. This is why utility poles should be inspected periodically and the findings from each inspection should be recorded in a centralized, shared asset database, then reviewed by all key joint use stakeholders. Download our tip sheet below on 10 Critical Reasons to Conduct Utility Pole Inspections.